Screenplay: Naguib Mahfouz, Abdel Rahman El Sharkway, Aly El Zorkony, Wagih Naguib. Two years after the Suez war of 1956, and four years after the beginning of the Algerian war of independence, Chahine makes his first explicitly political film. 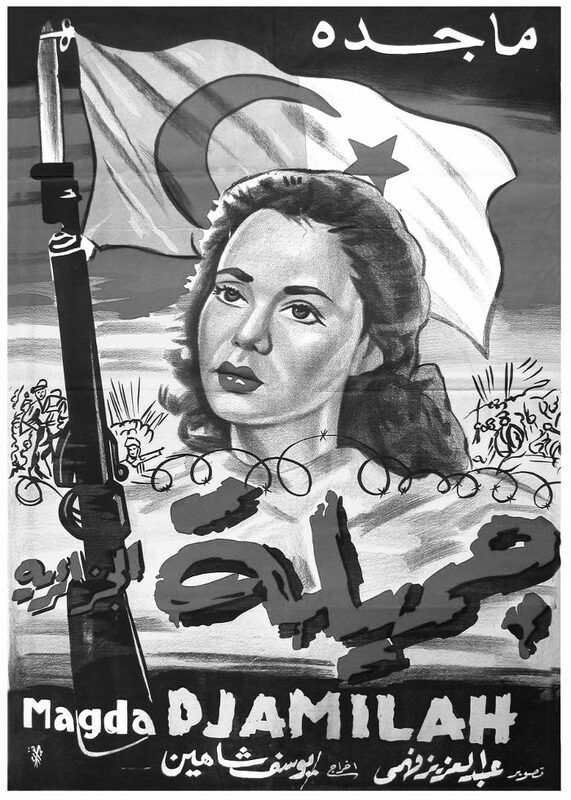 Jamila, the Algerian is the fact - based story of a woman who casts off her complacency and joins the Algerian National Liberation Front (FLN) in its fight for Algeria’s independence. Bigeard, a French officer who heads operations against the FLN network, eventually catches Jamila Bouhired, she is tortured but refuses to talk. When French and worldwide public opinion awakens, the French lawyer Verges comes to her defense in what degenerates into a show trial.